As most everyone knows, the Hawaiian Islands exist because of land created by volcanic activity. The newest of the islands, the Big Island, is the only one still showing active volcanoes but on the rest you’ll find remnants of that activity. 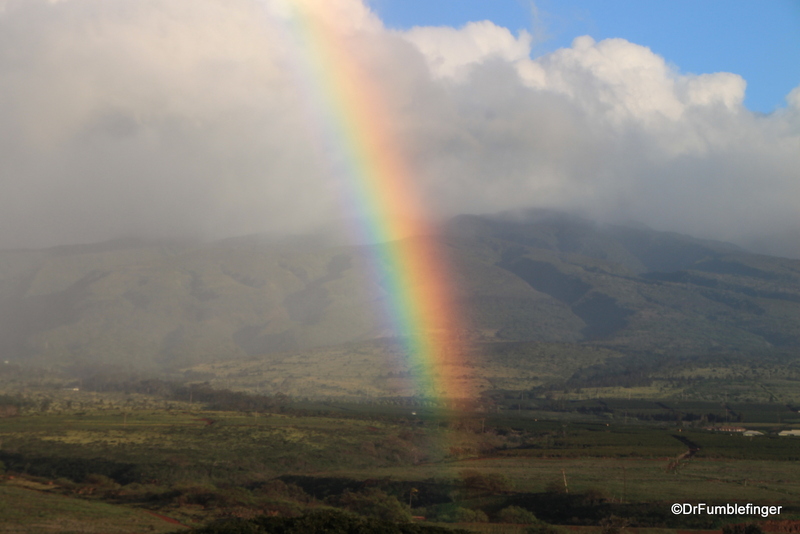 If you want to see lots of rainbows — almost too many to count — Maui is the place you should go. The frequent showers carried in by the trade-winds usually don’t last long and give way to brilliant sunshine. The sunlight is dispersed when it hits the water droplets in the air and, voila — a magical rainbow! Often Maui’s rainbows span a full hundred and eighty degrees and double rainbows are common.